Weekends Count Magazine - Education & Family Travel: Next Time Your Family is in Fort Worth, Visit the Panther Lab Makerspace - It is FREE! Next Time Your Family is in Fort Worth, Visit the Panther Lab Makerspace - It is FREE! Next you are visiting Fort Worth, check out the opportunities available for your child in the Fort Worth Library! Since we moved to this area, the Fort Worth Library has been a safe haven for our family. It continues to serve as a refuge for our family to learn, network, and relax! We've checked out books, videos, books on tape/DVDs, and additional materials from the Fort Worth Library! 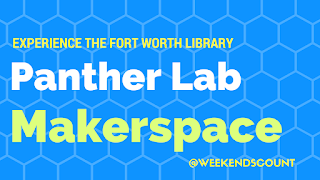 Here's the neat thing - even if you are not a resident of Fort Worth, you and your family can visit and interact with the Fort Worth Library - Panther Lab Makerspace! Watch this Video to Find Out "What is a Makerspace?" The Fort Worth Library - Panther Lab Makerspace is located at the Northwest Branch Library on 6228 Crystal Lake Drive in Fort Worth. It is an amazing resource for Fort Worth residents and visitors to the area can experience! - Utilize Ozobots to learn introductory robotics. - Design Video Trailers on iMac computers (with a Sony camera and green screen)! - Create a digital game through simple coding. What's in the Fort Worth Library - Panther Lab? The Fort Worth Library - Panther Lab Makerspace has 3D printers, a 3D Scanner, robotics/electronic kids, Apple computers with Adobe Creative Cloud Suite, Virtual Reality and a Simulation Headset, a Sony Camera and Green Screen, and a Vinyl Cutter. When is the Fort Worth Library - Panther Lab Makerspace open? The makerspace is open Monday, Tuesday, and Thursday from 2pm to 7pm and on Saturday from 2pm to 5pm. 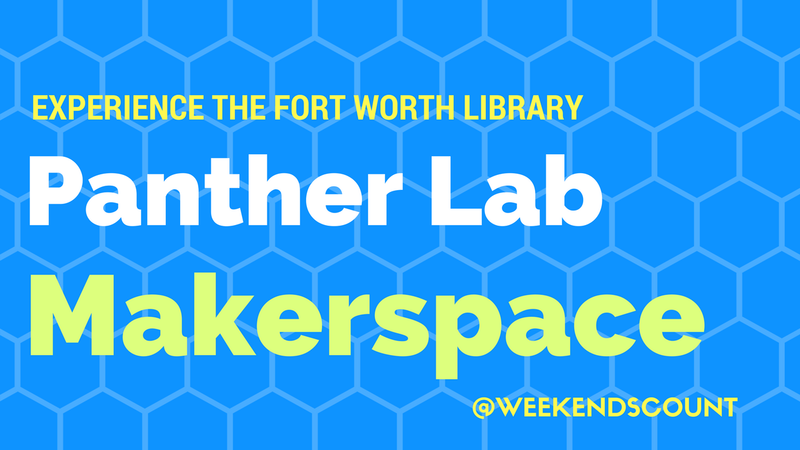 Next weekend, spend days with your family at the Fort Worth Library - Panther Lab Makerspace! You will definitely not regret it! :) Plus, you can leave with a momento from your creative adventure!